A.E. 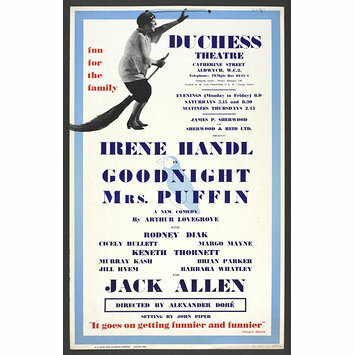 King & Jackson Ltd.
Associated Production: Goodnight Mrs. Puffin. Playwright: Arthur Lovegrove. 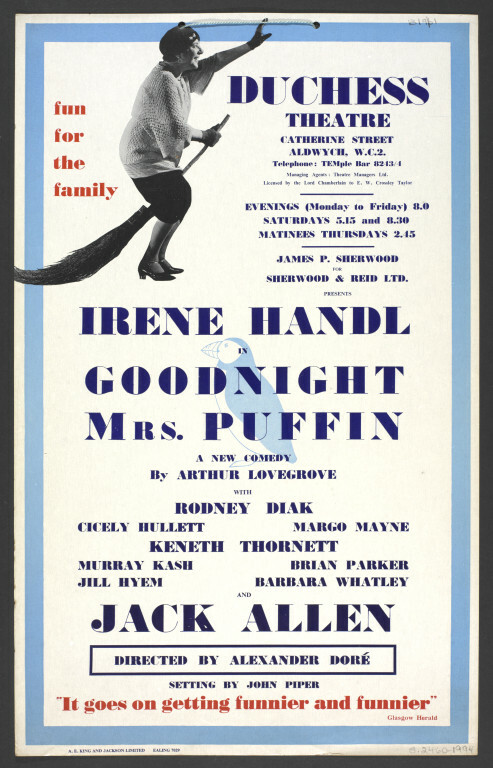 Actor: Irene Handl. Duchess Theatre, Catherine Street, London. 13.9.1961. Performance category: comedy.